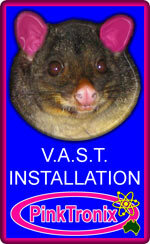 Viewer Access Satellite Television - VAST Installation - Installation services by Pinktronix, Gympie. You may register 3 boxes per address without qualification. You may register more than 3 boxes per address, but after 3 registrations you will need to provide some sort of plausible explanation for each additional registration. Presumably this protocol is in place to thwart "ghost" registrations on behalf of consumers who are not eligible for the VAST service. It is not in place to reduce the number of legitimate TV /decoder entertainment places in your household. This is a fair approach, when viewed from the broadcaster's point of view. TV station revenue is derived from advertising. A mearsure of that advertising effectiveness is derived from viewer surveys and coverage footprint... which the provider has paid for. If that coverage is diluted by another broadcaster's service then the providers revenue goes down. If you already have an unused Foxtel, or a Remote Area Broadcast satellite system where the dish has not been disturbed, installation of your VAST decoder is simple. 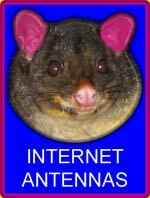 Providing your Foxtel or R.A.B.S. (Aurora) installation was fitted with a standard 10.7 MHz Low Noise Block then it should just be a matter of hook up and switch on to receive the unencrypted information channels straight away. Just connect the decoder to the dish and television, switch on and watch the new unit initialise. A confidence check of correct operation is provided if the user switches to channel 800 and receives the information channel. 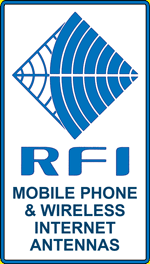 If you can receive the un-encrypted information channels then your system electronics should be functional. You may register over the phone by calling VAST Admin. on 1300 993376, but mistakes are avoided if you register using the web, plus you can make a hard copy in case of lost forms and blame games further down the track. Travellers cannot register over the phone, they must do it via the web. Remember, your smart card number is paramount in dealings with VAST Administration so have it ready. This number is their first port of call in identifying your application. 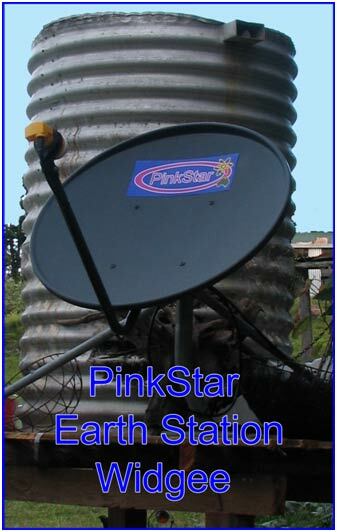 Your decoder satellite system must be fully functional and switched on with smart card inserted to receive the activation box hit from the satellite. TO REGISTER AND ACTIVATE THE DECODER. Simply go to http://myswitch.digitalready.gov.au/ and follow the prompts. After a few intuitive clicks the form below will appear. If your area lies in a gazetted black spot zone the writing at the bottom of the form will be as on this embedded form, with the good news.....immediate activation of all channels. This activation will be automatic 24/7 if in a gazetted black spot area. If you are currently ineligible for activation of all the channels, only the ABC and SBS channels will be flagged for immediate activation. It is in your best interest to register with VAST Admin in advance if you are thinking of installing VAST, because if there is some question as to your entitlement to the commercial channels you will have at least started the 15 working day registration cycle. go directly to https://www.mysattv.com.au/travellers.aspx and you will get straight into the form below. After submitting the form an email will be sent to you requesting registration confirmation. Click on the link to finish registration. BRIEF GUIDE TO VAST HARDWARE INSTALLATION. For those of you who have never had a Direct to Home Satellite Service you will be pleased to know the procedure is fairly simple with the first step being to find a suitable site for the satellite dish. If your home is surrounded by trees or backs into a hill with a very narrow aperture of view to the satellite this can sometimes be a bit tricky. However, if there are no constraints on your imagination then the great news is that in all probability, you are going to get a satellite service. The adjacent photographs of PinkTronix anti terrorist surveillance installations show work performed for A.S.IO. and the C.I.A . 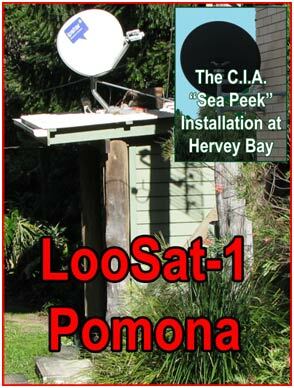 Whilst not typical of an undisguised Direct to Home television service the basic principles in satellite dish sighting remain the same. 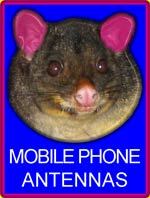 If you wish to use the one dish for both Foxtel and V.A.S.T. there is no a technical impasse but there may be a political problem with Foxtel should problems arise with your Foxtel box or Foxtel programming. Come intermittent fault time, there would justifiably be room for finger pointing should there be problems with a Foxtel installation which was shared with a VAST system without Foxtel approval. Having a completely separate system for the sake of uniformity in operation and over the phone fault finding, would be quite a reasonable ask on the part of Austar considering they paid for the dish to be installed in the first place. There should be no vegetation or any other large obstruction between you and the satellites.